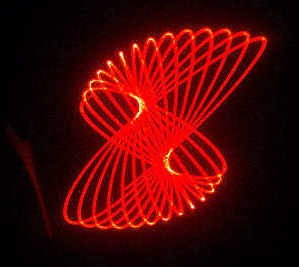 Spirolaser is a system that projects drawings onto a wall, based on a low power laser fitted on a 3d printed structure motor-powered and controlled by Arduino. During the workshop you’ll learn how to assemble a Spirolaser kit and how to modify the software (an Arduino sketch) to create infinite new designs. NB. Please, notice that you can not take away the Spirolaser you worked with during the workshop at the end of it. If you’d like to, you can buy the kit at the Store you will find in the Maker Zone.